Please join us for a fun-filled evening on Saturday, March 2nd, in Alumni Hall for our annual Casino Night, themed “Swinging Vegas Night.” The night will feature the music of Moonlight Express Big Band, will include Vegas style gaming, hors d’oeuvres, a no-host bar, and wonderful prizes. Doors open at 6:45pm. 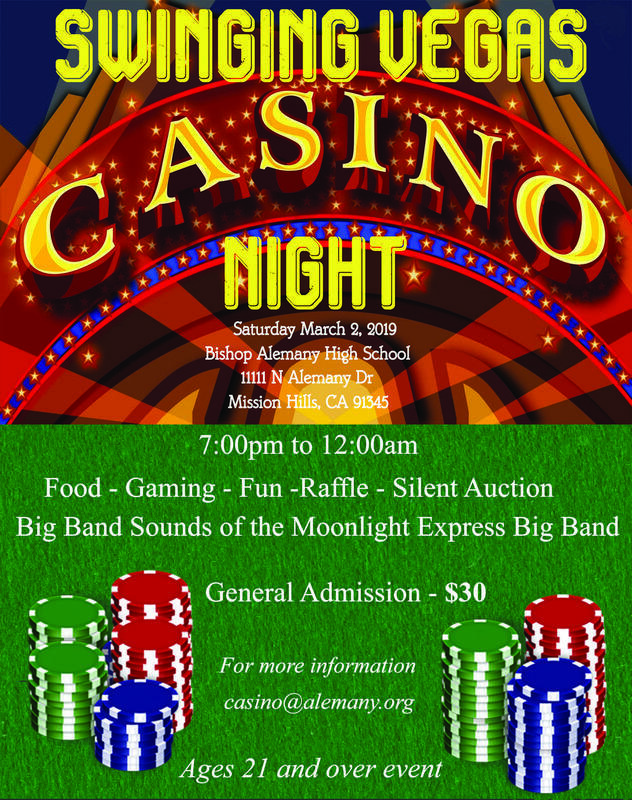 For more information, visit www.alemany.org/casinonight. Please see the link for parent service hour opportunities. We look forward to seeing you there!